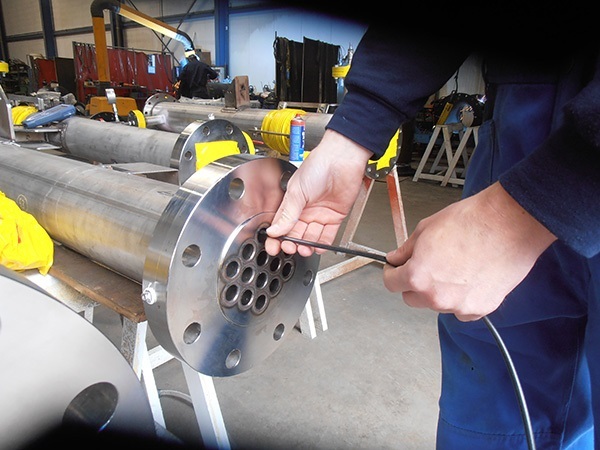 Eddy Current inspection (ET) is one of several NDT methods that use the principal of electromagnetism as the basis for conducting examinations. Eddy current testing equipment performs three basic functions: generating, receiving, and displaying. The generating portion of the unit provides an alternating current to the test coil creating eddy currents through a process called electromagnetic induction. The receiving section measures impedance and processes the signal from the test coil to the required form and amplitude for display. Instrument outputs or displays consist of a variety of visual, audible, storage, or transfer techniques utilizing meters, video displays, chart recorders, alarms, magnetic tape, computers, and electrical or electronic relays. 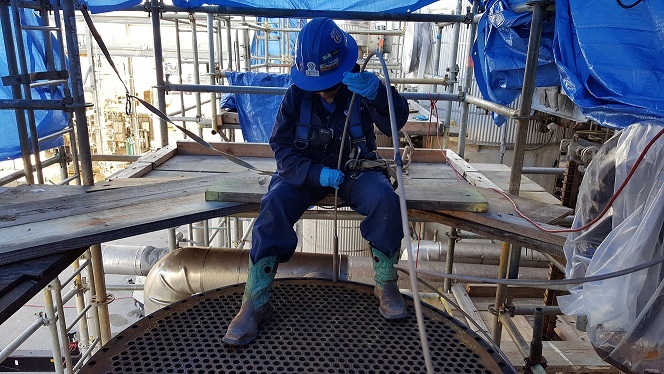 One of the major advantages of eddy current as an NDT tool is the variety of inspections and measurements that can be performed. This inspection method is sensitive to small surface cracks, pits, subsurface cracks, corrosion on inner surfaces, and other flaws and is used to inspect parts of complex shape and size. ET gives immediate results and is widely used within the commercial, military, petrochemical, aircraft and aerospace industries. In the proper circumstances, eddy current can also be used for material or coating thickness measurements, heat damage detection, and conductivity measurements for material and alloy identification. 1.ECT LEVEL-I Training and ceEddy Currentification as per SNT-TC-1A OR CP-189. 2.ECT LEVEL-II Training and ceEddy Currentification as per SNT-TC-1A OR CP-189..